Once heralded as _the_ way for publishers to establish a direct connection to readers, Bookish has been a footnote in digital publishing ever since the failed startup was sold to Zola Books, an ebook retailer in 2014. 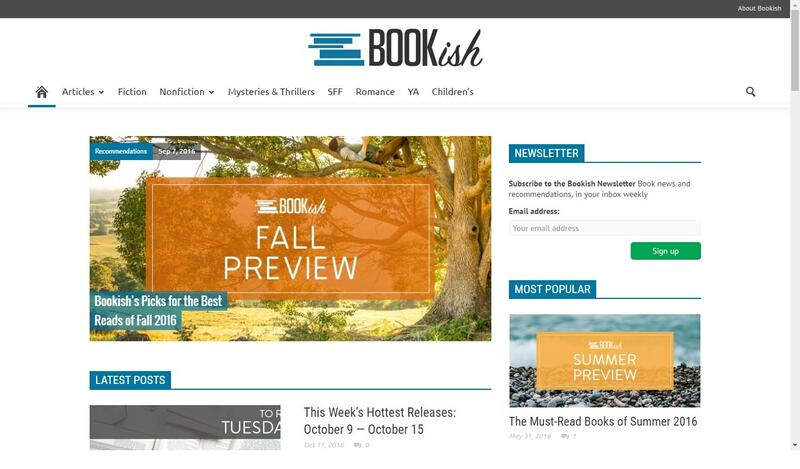 NetGalley, an industry-standard service to promote forthcoming titles to readers of influence, has acquired Bookish.com, an editorial site designed to connect readers with books and authors. Bookish.com is an online resource serving readers of all genres through author interviews, book recommendations, and literary roundups. Founded by Hachette Book Group, Penguin Group (USA) and Simon & Schuster, Bookish.com was launched in February 2013 and was acquired by Zola Books in January 2014 along with Bookish Recommends, a book recommendation engine. As a sister company to NetGalley, Bookish will remain an editorially independent, standalone site with its continued commitment to connecting visitors with interesting and relevant content. NetGalley has in effect bought a book blog which happens to have the same name and is descended from an ebook startup called Bookish. Assuming the price is right, this was a good purchase for Firebrand; they will be able to use the book blog for marketing. My Site is Loading Twice As Fast Today As It Was Last Week. How About Yours?